The teachers and staff at MCCS spent their time preparing me to leave the halls of a small Christian school and enter into the world with a mind full of knowledge and heart full of faith. YThe education I received while attending MCCS set me up for success as I continued on through high school and college. 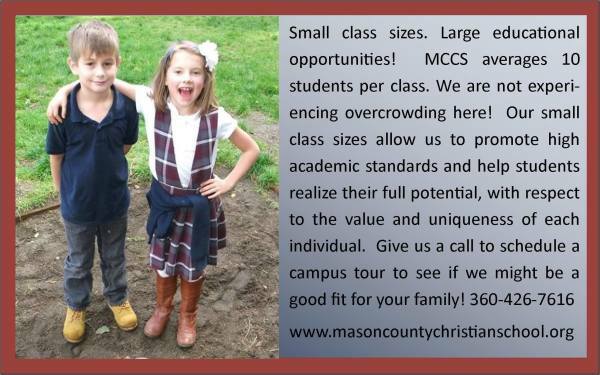 I'm hoping to give my kids the same head start that I received and that's why I enrolled them in Mason County Christian School. Have your own testimonial for submission ?